Yes, it's seriously one of the best. but of the few originals that I have, this one is the true King of the Mountain! 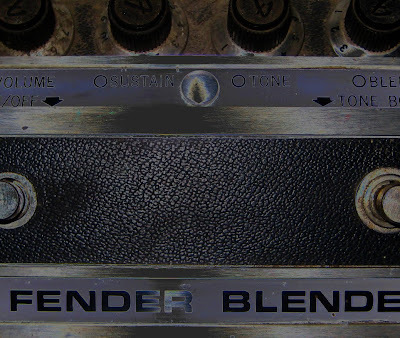 It was made the last year they were produced, 1974, before the infamous 3-Knob Fender Blender was introduced. It's fatter and woollier than the previous versions, including the Version 1's from 1968. Now I know you're probably thinking, "What the hell? this is just a weird close-up pic with a lame photoshop filter???" But instead think of it as like the teaser post on this badass 1974 Fender Blender, because basically I had this pic already on my computer and I really wanted to get in a post before the end of the night!